Milkshakes are the perfect combination of a yummy dessert, pleasing drink, and just all around goodness. Whether you enjoy a traditional soda shop type drink made from hard scooped ice cream or something spiked for grown-ups only, Nevada has some of the most unique shakes around. The next time you are craving a bit of sugar, try one of our favorite places to get milkshakes in Nevada. The best part of being an adult? Being able to not only have a milkshake whenever you want but also spiking it like these smooth delights for adults only. While they do offer shakes for everyone, the best ones on the menu contain alcohol and are 21 and over. Ice cream is king at this mall side store, and with 500 different milkshakes there is something for everyone. They also do hand dipped ice cream on a stick. The options seem endless with all the mix-ins and they focus on custom flavors. Such a throw-back to the older drive-in, they offer creative flavors without hassle. Everything is car-side and service is fast. They have a retro feel and seem to be a well guarded local secret with a lack of internet presence. This may be one of the best kept secrets in Sparks! Hand crafted ice cream is the focus of this smaller shop. When you start with some of the freshest ice cream in town, of course the milkshakes are going to be amazing. This is a local favorite as their flavors change often and there is always something new to try. While the burgers and dogs are the center of their menu, the milkshakes are the hidden gem here. How can you go wrong have gourmet dogs and thick shakes. This is a must try for both the college crowd and families. 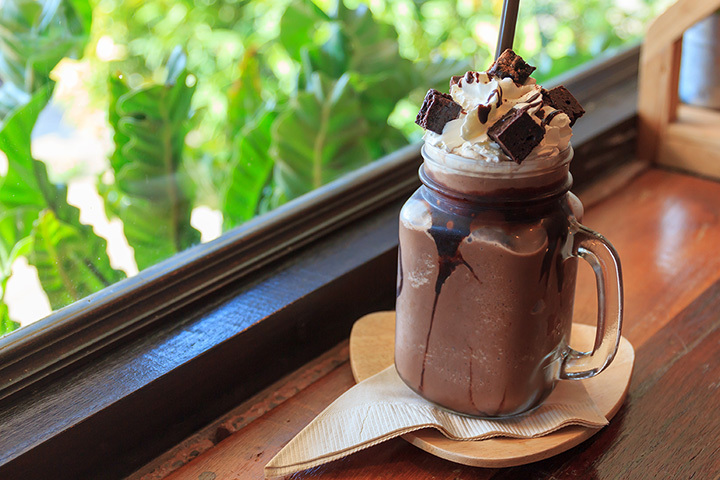 Grab a shake and enjoy the patio at this yummy burger joint. Their patio is very popular and the shakes are a big part of why this place is often busy. The huge burgers also don't hurt the cause! Make sure to bring an empty stomach and stretch pants for lunch here! Smooth as silk, their shakes showcase their frozen custards in several different base flavors. There is not a bad shake flavor on the menu. They are that good. The burgers keep the college crowd coming back. The fresh baked brownies in the “Brownie Delight” are amazing. This place puts the glamour in milkshakes—yes we said glamour. It may be a bit fancy, but this is matched by the quality of both the burgers and shakes. The costs are well worth the top quality flavors and the atmosphere. This is the type of place you go to hang out with adults and spend an hour just enjoying an amazing shake. This smaller, California chain is the first stop for many who frequent Las Vegas. The flavors are limited but the taste is divine. They offer an old fashioned diner shake without much fuss. Locals also enjoy challenging staff with requests off their “secret menu” so take a chance!